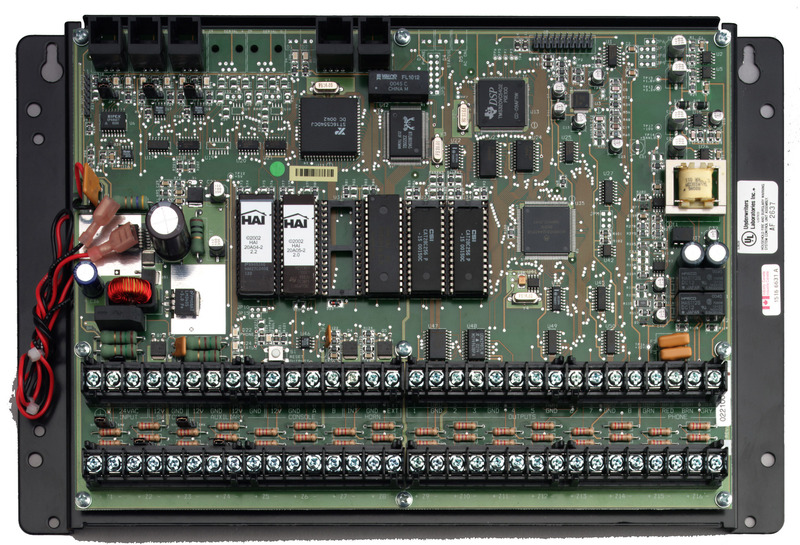 The OmniPro II is the heart of your automated home, and it can coordinate all of the systems in your home to talk to each other. The system provides enhanced comfort, safety, convenience and energy savings by coordinating lighting, heating and air, security, scenes and messaging based on activity and schedules. The OmniPro II is HAI's flagship home control and security system. It is designed for large residences and commercial installations. 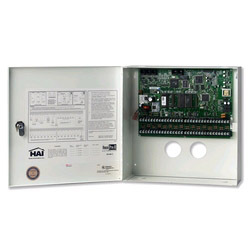 OmniPro II systems are designed for professional installation. The licensing requirements for their installation vary by state because Omni systems have built-in security. OmniPro II comes with several standard modes, such as Day, Night, Away and Vacation, and can accept customized scenes such as "Good night", "Good morning" or "Entertainment" that set temperatures, lights, audio, and security to the desired levels with one touch. Security settings, temperature sensors, and motion sensors may be used to adjust lights, appliances and thermostats, monitor activity and track events. You can create "modes" in your OmniPro II to customize your music and home control experience. 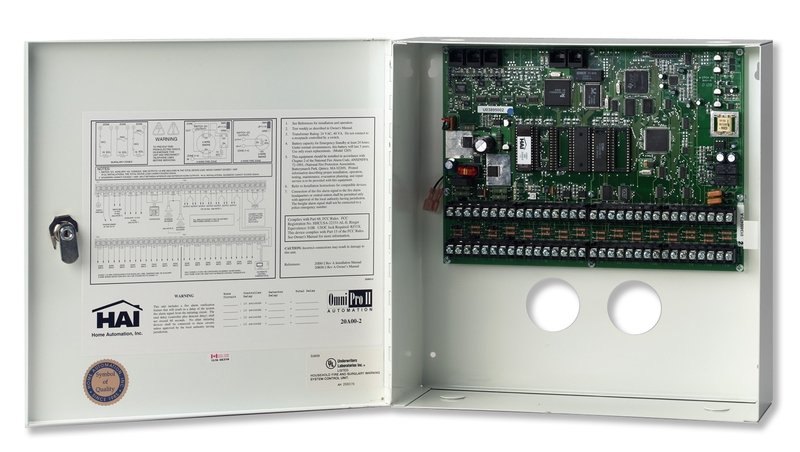 The programming of an OmniPro II allows installers and homeowners to set schedules and actions performed by the system, and to add new favorite sequences of actions/event as desired. 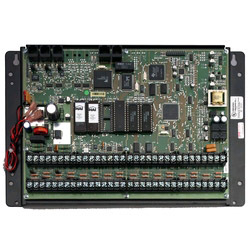 OmniPro II controllers are CP-01 compliant and UL Listed security and fire systems. They detect intrusion, smoke and fire, carbon monoxide, water, and other hazards with wired or wireless sensors. OmniPro II has a built-in digital communicator for use with a central station and can dial up to 8 additional phone numbers chosen by the owner for voice notification. Also, when the system is tripped and you are using optional HAI Internet software your notification options include e-mail and Internet video surveillance. OmniPro II has a three built-in serial interfaces for connection to the Internet, personal computers and options like touchscreens, voice recognition and home theater controls. OmniPro II features telephone accessibility from within the home or a remote location with clear voice menus for convenience and simplicity.